The coastline near Howick. Picture by Gavin Duthie. A man has died after being swept into the sea in Northumberland. Emergency services supported by the coastguard were called to Howick just before 9am on Sunday to a report for concern for a man swept out to sea from the rocks on the shore. The 24-year-old man was located in the water and flown to hospital by air ambulance, but sadly died a short time later. 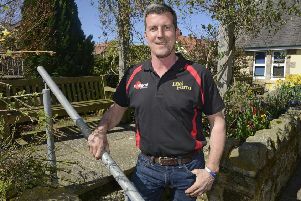 He has been named locally as Damian Dixon, a sea angling enthusiast. He leaves behind a partner and young daughter. A Maritime and Coastguard Agency spokesperson said: "HM Coastguard received a call from a fellow angler at 08.38 on Sunday morning (January 13) reporting that a fellow fisherman was in difficulty. "The Howick Coastguard Rescue Team, Craster RNLI inshore lifeboat and the Amble RNLI lifeboat were all sent to the scene. "The inshore lifeboat recovered the man from the water and brought him to shore, after which he was transferred to hospital by the helimed helicopter." Northumbria Police confirmed the death is not being treated as suspicious, and a report is being prepared for the coroner.